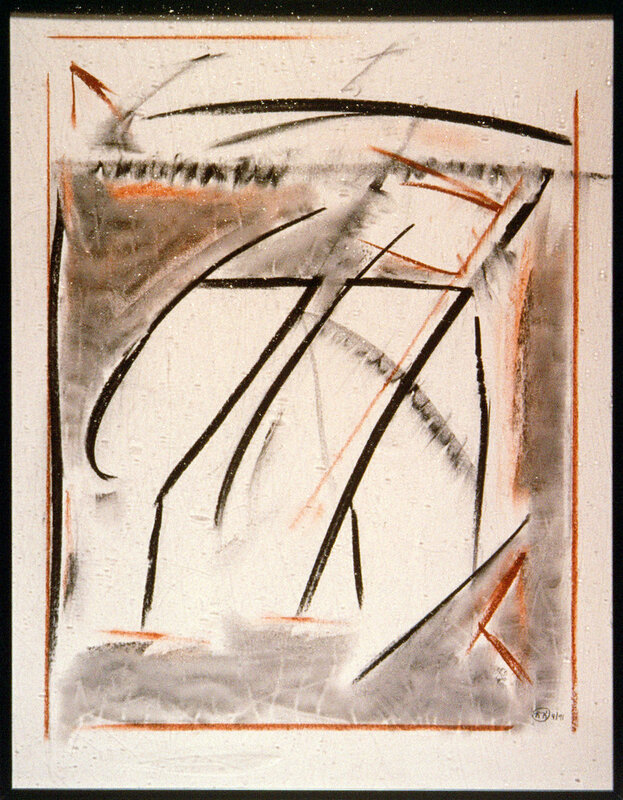 In the 1990s the under painting on board is simplified, often reduced to a few charcoal lines with pastel or conté crayon coloration. The subject of many of the pieces centers on two central themes; the Northern California landscape and the exploration of simple linear configurations through palimpsest. Pythagoras, in “Pythagoras’ Lament,” ponders the world’s loss of interest in the beauty of geometry without reaching any conclusions.